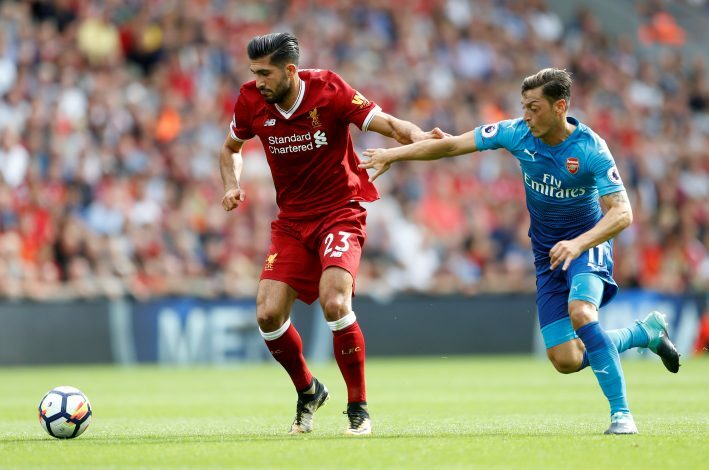 Premier League giants Liverpool have reportedly turned down Emre Can’s request for a release clause in any new deal, amidst reports linking him with a switch to several European powerhouses, including Chelsea, Man Utd, and Juventus. Can has less than a year left on his current contract with Liverpool, but any talks between him and the Reds regarding his contract extension seemed to have reached a stalemate over the issue. The 23-year-old was linked with a move to Italian Champions Juventus over the summer, and if a new contract is not penned down by the German at Anfield, he would be available to negotiate a move away on a free transfer from January onwards. It was reported by Daily Star that Liverpool don’t want Can’s contract to include a release clause, as it could put them in a tight spot if one of Europe’s top clubs decide to sign him at any time. The Reds are not willing to include any clause that would allow clubs to make a swoop for their star by paying a set fee, but Can, on the other hand, is insisting on it, which has eventually led to his contract talks coming to a halt after months. Liverpool seem to be unshakable on their decision, especially after the Philippe Coutinho fiasco. A lack of release clause in the Brazilian’s contract allowed Liverpool to fight off interest, and keep him at Anfield this summer. However, if a new deal is not agreed upon between Can and the club, the German midfielder could leave on a free transfer. And even though Liverpool now have plenty of options to fill his spot, they still wouldn’t like to lose him to one of their rivals, as yesterday’s reports hinted at Chelsea and Manchester United’s rising interest in the player. The 23-year-old midfielder switched to Anfield back in 2014 from Bayer Leverkusen, and has since made 132 appearances for the Merseyside giants.